Inviting and beyond beautiful—that’s how I describe Korea. The warm people, scenic places, array of tempting food, trendy music and fashion, values–rich dramas and remarkably advanced technology are just some of the many reasons why Korea is a must on your travel bucket list. But what’s more interesting about the country is its four distinctively unique seasons: the spring (봄), summer (여름), autumn (가을) and winter (겨울). Korea is an invitingly beautiful country that besides the warm people, beautiful places and rich culture, what’s more interesting is its four distinctively unique seasons: the spring, summer, autumn and winter. 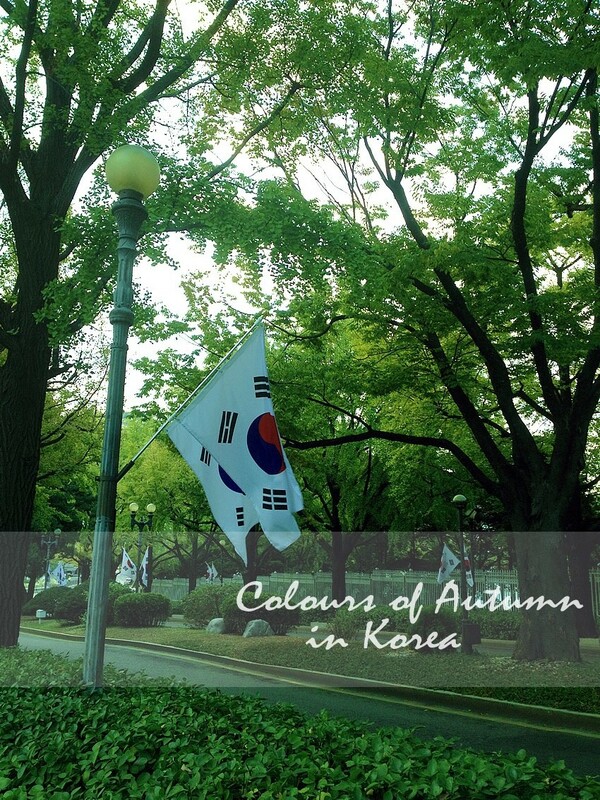 Korea is especially more beautiful during the autumn when trees change into palettes of yellow, red orange and brown. 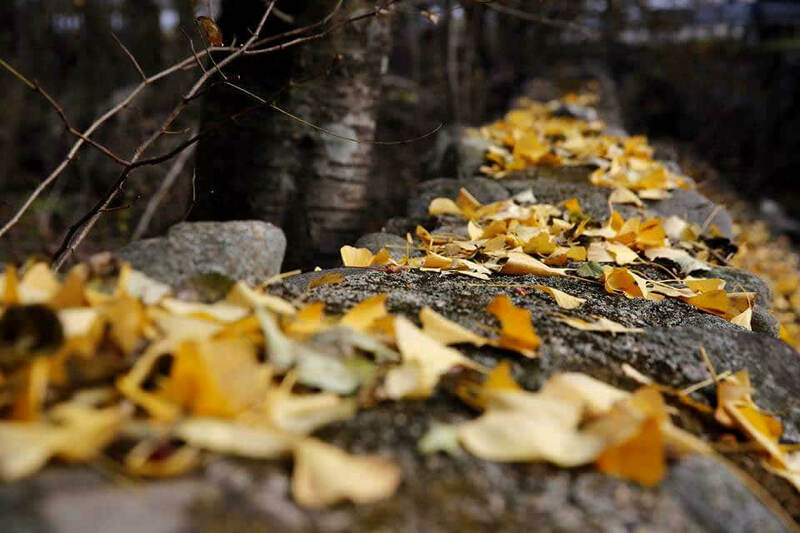 The autumn season, which lasts from the months of September until late of November, is considered by many as the most pleasant time of the year. Beautiful autumn hues paint the entire nation with golden ginkgoes, coppery–orange zelkovas and red maple trees under the clear blue sky along with the cool weather is such breathtaking scenery to enjoy and appreciate. The National Museum of Korea is also a great place to enjoy the autumn season as its surroundings are ornamented with beautiful autumnal trees. During the fall foliage’s intense colors, Koreans are looking forward to the beautiful season and spend time with their family outdoors, whether just a casual visit at city parks or hiking at one of the country’s famous peaks. 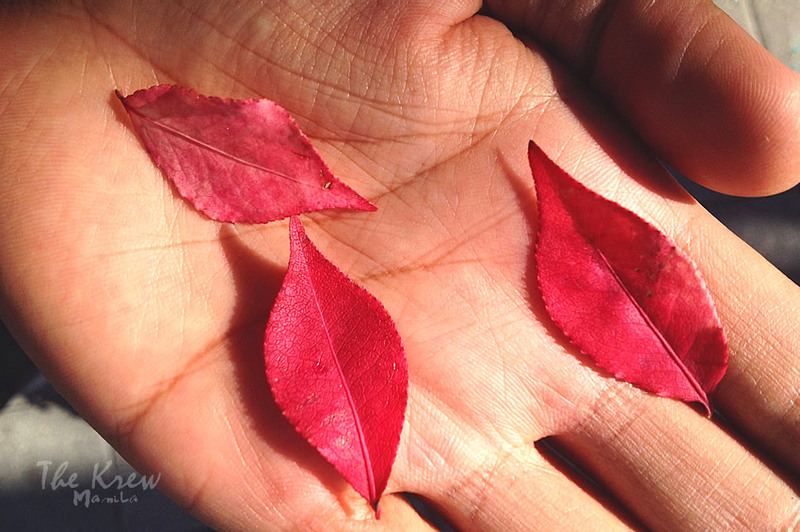 Autumn in Korea is a time of falling leaves which paints the entire nation with vibrant yellow, red orange and brown. 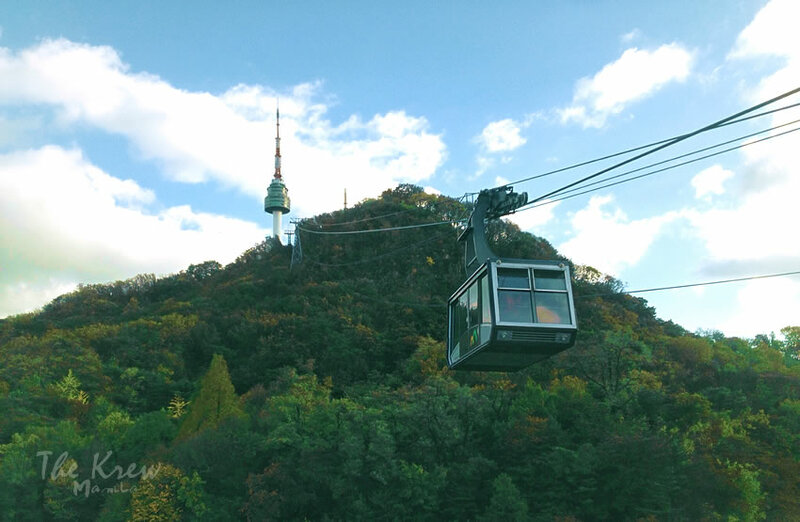 Appreciate the Namsan Mountain’s splendid autumn by riding the cable car up to the view deck grounds of the iconic N Seoul Tower. 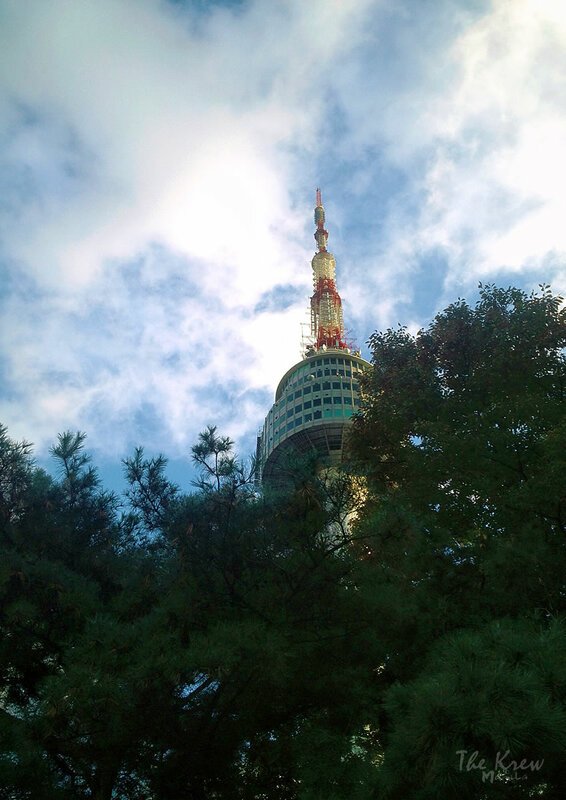 The peeping N Seoul Tower that proudly stands tall on the captivating peak of Mt. 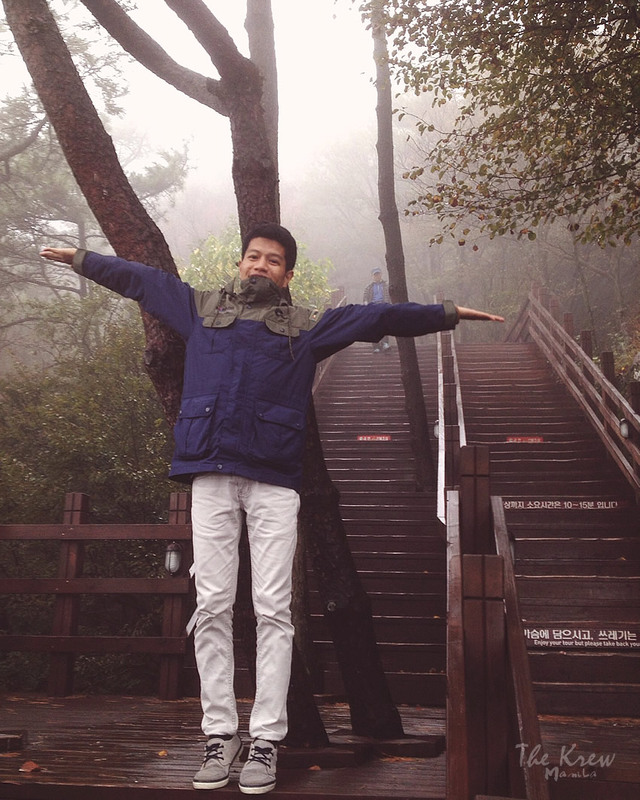 Namsan. 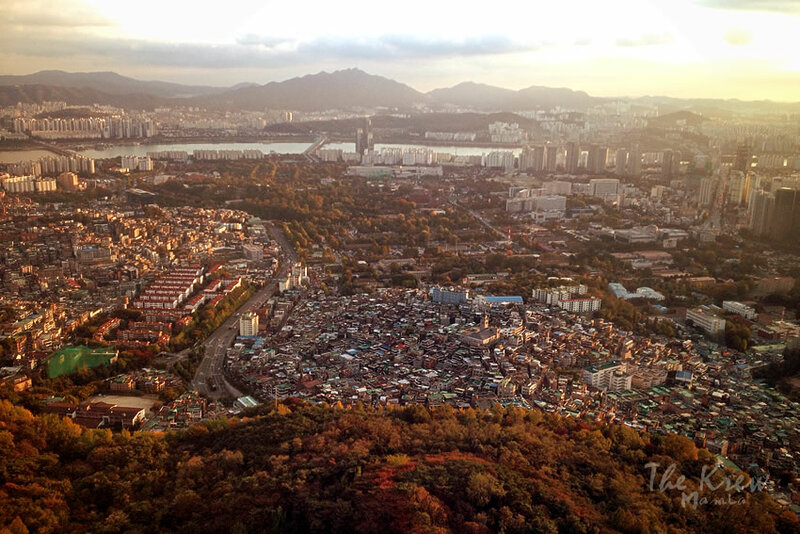 The autumn-painted inviting city of Seoul as seen at the top of the Namsan tower. Downtown of the inviting city of Seoul, it’s no excuse not to visit the captivating peak of Mt. 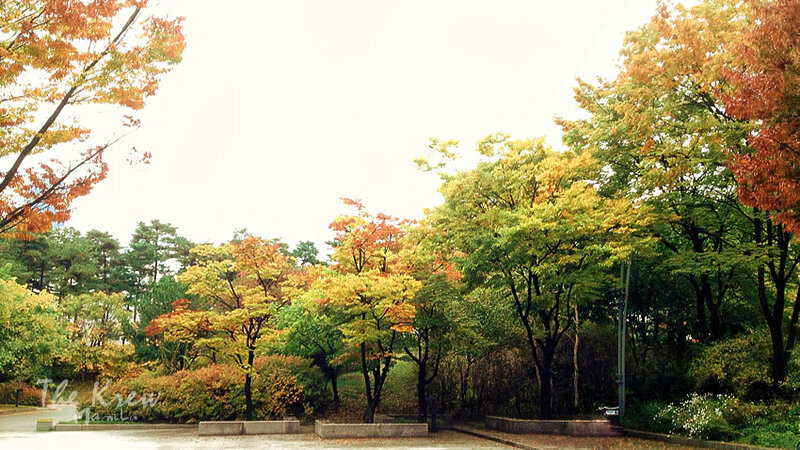 Namsan in the autumn. Crowned by the iconic N Seoul Tower, the mountains and its surrounding park lure trekkers, backpackers and tourists alike to witness the splendid changing of the season in the heart of Seoul. 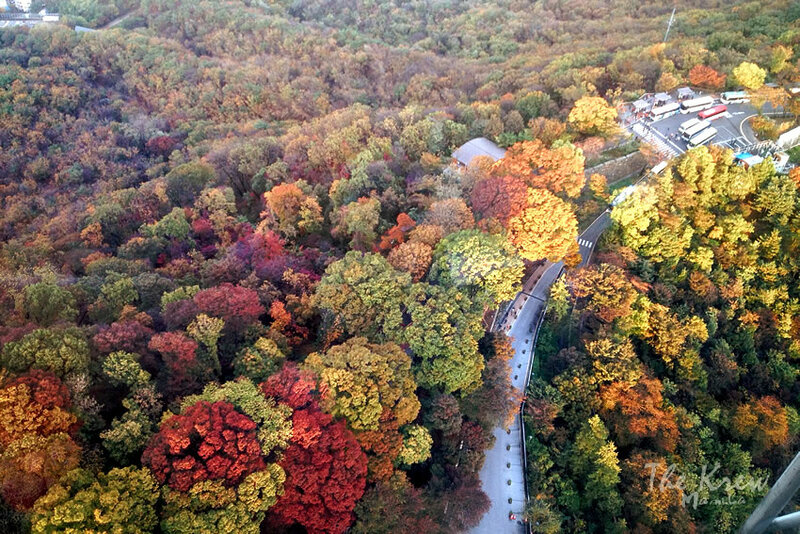 Setting aside the worthy hike, visitors can also appreciate the season through the Namsan cable car that awaits them from and to, and vice versa, right to the view deck while enjoying the stretch of thick and crimson–colored bushes of old maple and pine trees. 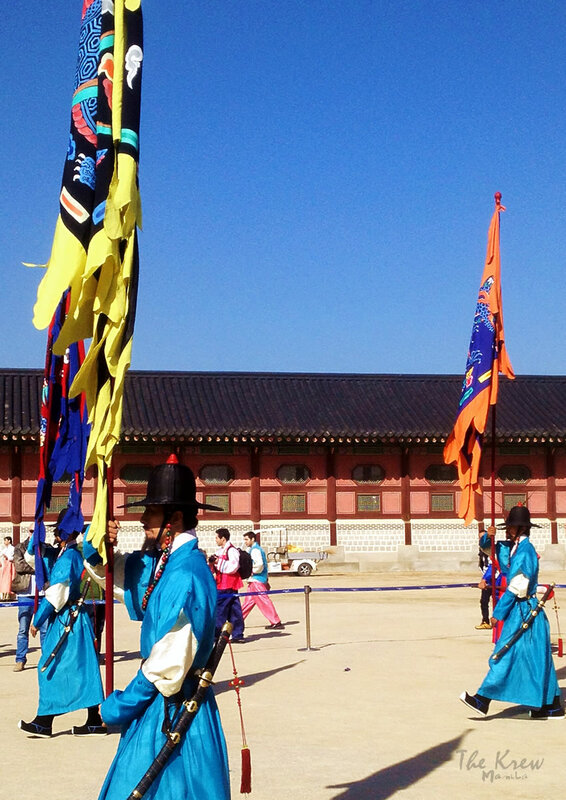 Witness the royal guard changing ceremony at the Gwanghwamun gate of the Gyeongbok Palace in which in the Joseon era it’s traditionally held at different times of the day. 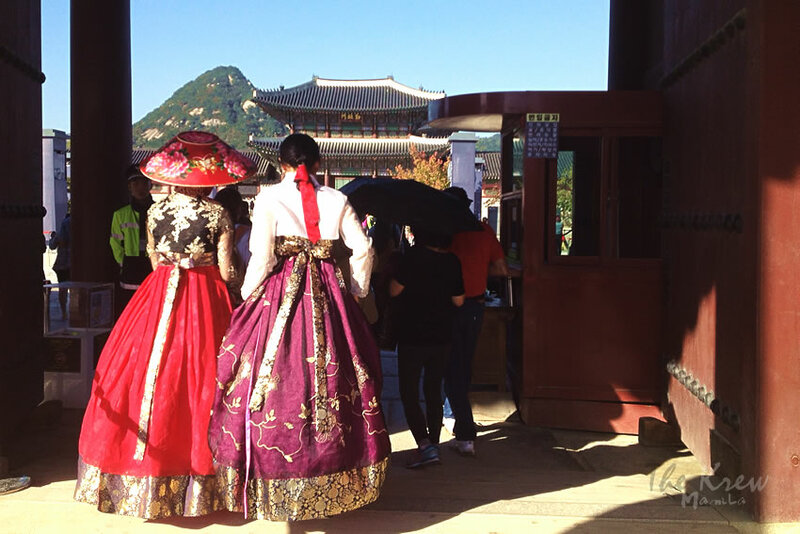 In hanbok, the traditional clothing of Koreans, travel through time with free admissions to Korea’s grand palaces across the city of Seoul. 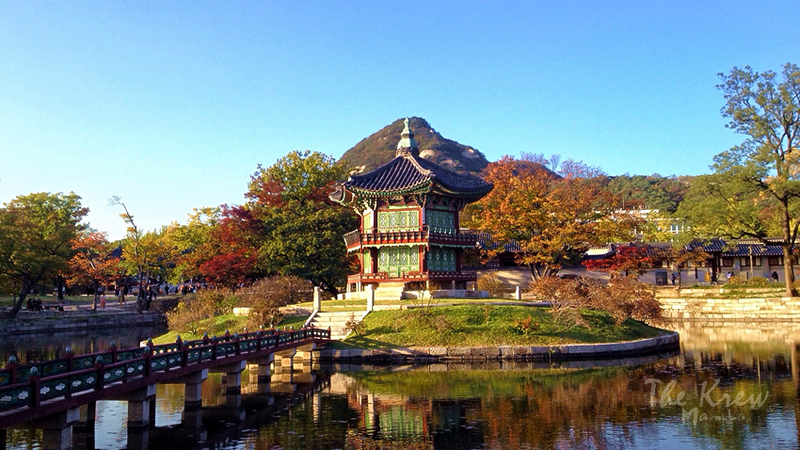 The Hyangwonjeong Pavilion stands lovely on the artificial Hyangwonji island within a garden lake and has the wooden Chwihyanggyo bridge that connects it to the Gyeongbokgung palace grounds. Grand palaces built during the reign of Joseon Dynasty are also great destinations to see the season’s colorful transformation as they are all majestic in the fall. Like the road along the Deoksugung Palace’s stone wall ornamented with tall ginkgoes, the traditional structures of the Gyeongbokgung Palace in a backdrop of impressive red and gold landscapes, the tranquil lotus pond of the Changdeokgung Palace adorned with autumnal leaves alongside the Huwon garden, and the notable Korean Folk Village which is as well stunning during the fall charm artists, photographers and tourists alike from across the country. Moreover, a walk and forest bath to the Seoul Grand Park is another way to embrace the nature and enjoy the scent of the autumn trees. If you just want to explore the metropolitan city of Korea, Seoul is just a huge autumn foliage landscape wherein lovely spots, gardens and parks are quite colorful places to visit and stroll about. Besides the time of falling leaves, autumn in Korea is also the season of bountiful harvests as mandarin oranges, apples, pears and persimmons ripen and add color to the foliage. 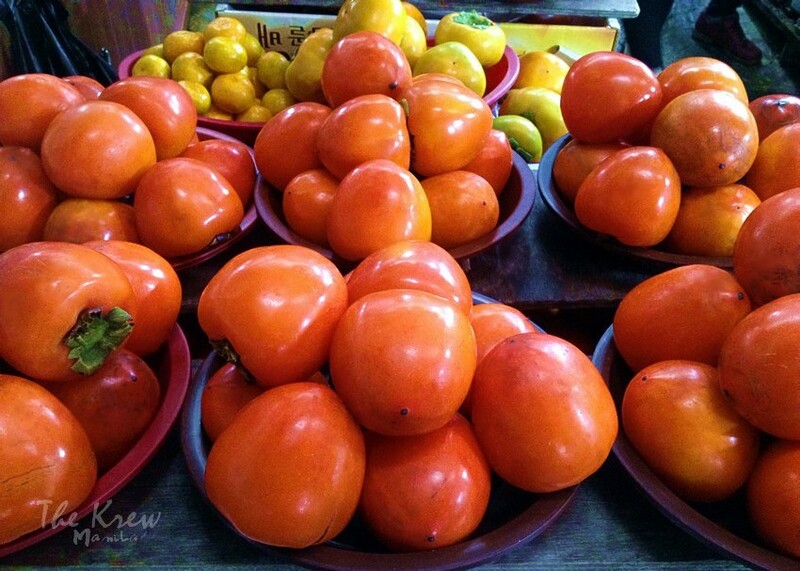 Korean fall is not only about the time of falling leaves and a sign before the cold winter sets in but also it’s the season of bountiful harvests. The rice fields started to turn to tints of gold while the sweet jujubes, apples, pears, and persimmons, which is a symbol of autumn in Korea, are all ripening and add rich color to the foliage. 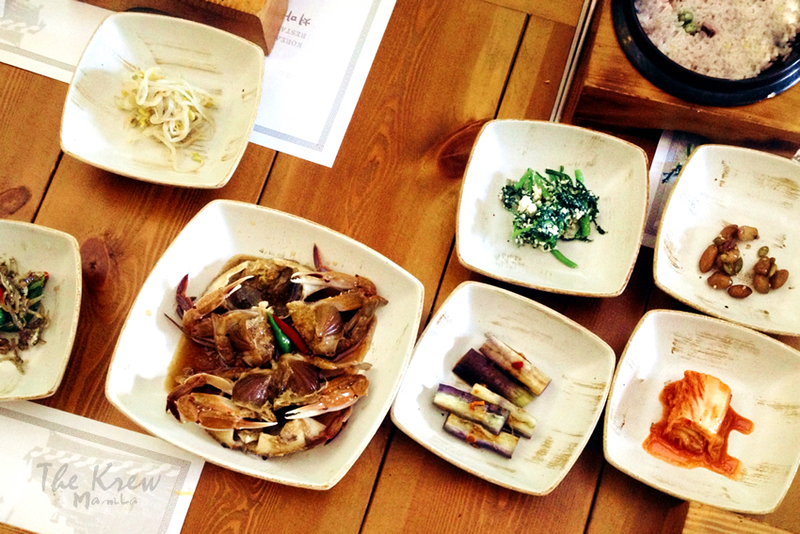 With the crisp, cool weather that the autumn breeze brings, it’s best to enjoy the season’s fresh and bountiful harvests including some of the most tempting traditional food in a hanok-style Korean restaurant. Furthermore, another reason to enjoy Korea’s autumn season is the holidays and many festivals that are lined-up particularly for the public to delight in and appreciate. Chuseok, as one of the exciting festivities, is an annual traditional holiday and a major harvest festival that every Korean celebrates not just for thanksgiving but most especially to pay respect to their ancestors. 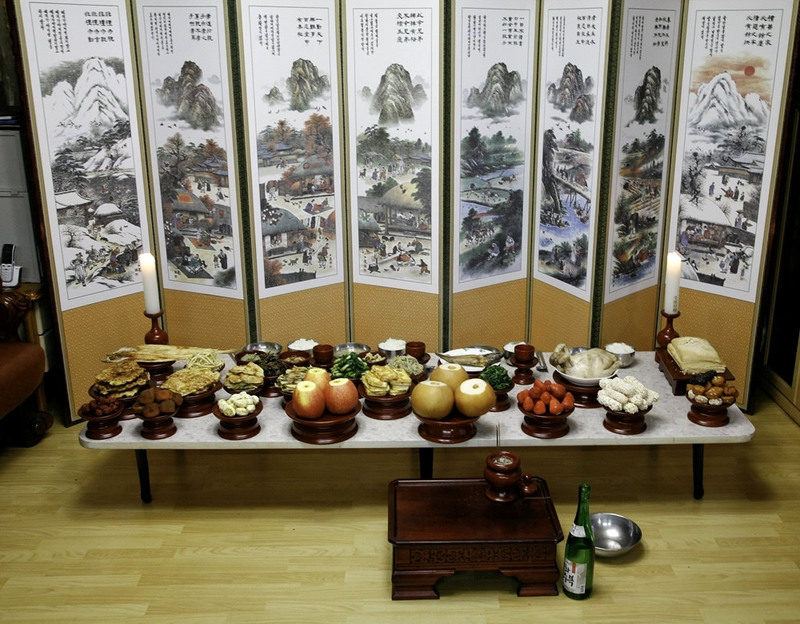 It’s held around the autumn equinox, the season’s biggest custom is also a feast of Korean traditional food and beverages such as the sweet songpyeon rice cakes as representative food, hangwa and sindoju. 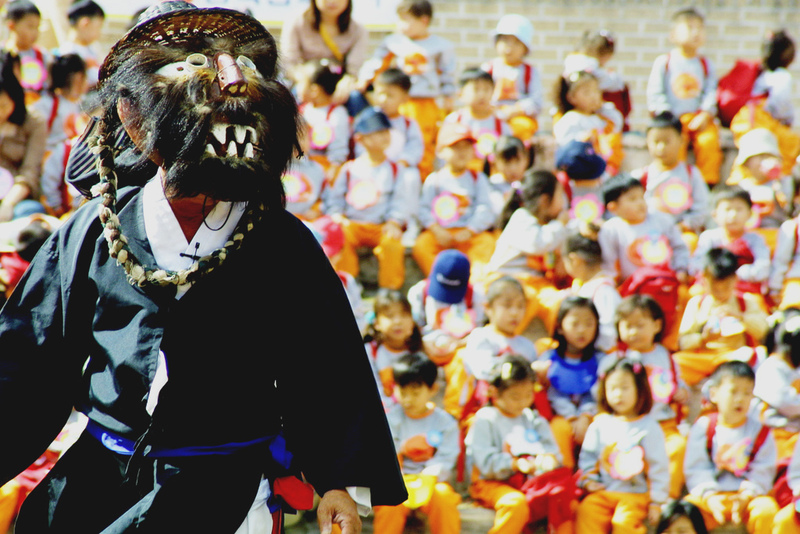 Also, the holiday is a celebration of old traditional games including archery and the Korean wrestling ssireum, along with the folk dance ganggangsullae. 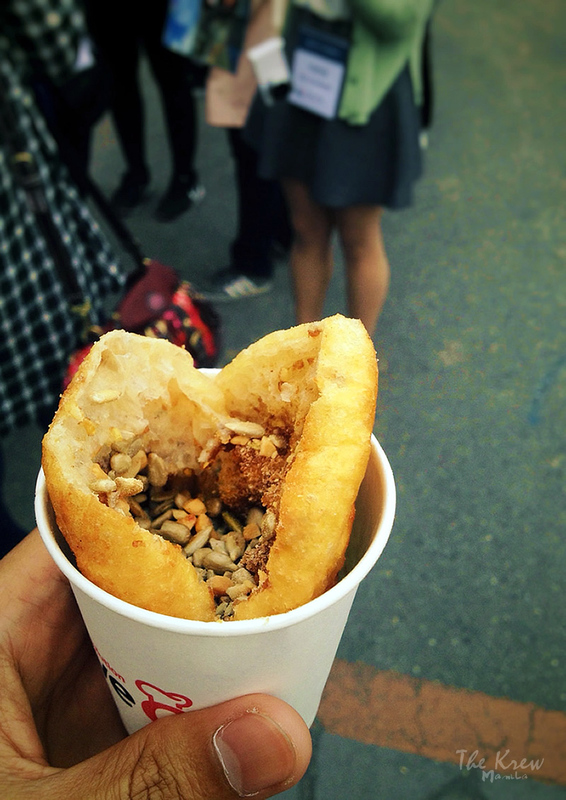 Seasonal sweet hotteok pancakes filled with various nuts are a must-try delicacy and street food in Korea especially in the fall. Aside from the customary offerings, roasted chestnuts and ginkgo nuts as well as the hotteok which is a seasonal sweet pancake filled with mixed nuts are best enjoyed in the fall and a must-try Korean street food enticingly serve by the street vendors called pojangmacha. Array of beautifully-seasoned kimchi sold at a traditional market in Tongyeong. One more reason why autumn is an exciting season in Korea is the Kimjang, in which it’s the traditional way of making the kimchi wherein Korean families usually gather in group to prepare and make the healthy fermented dish. 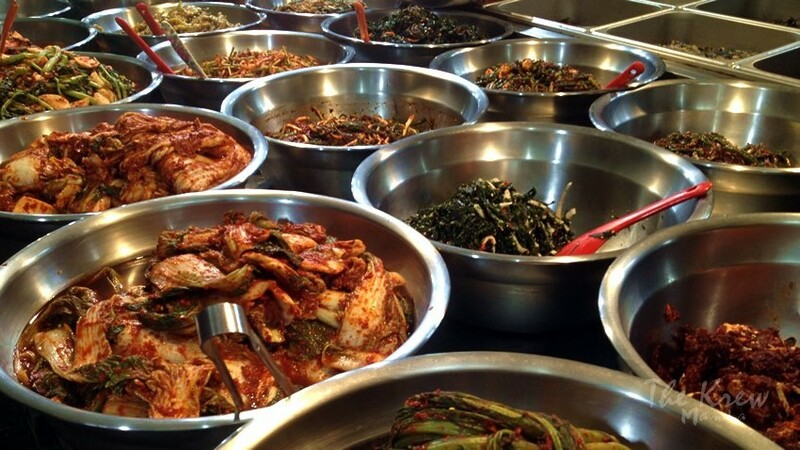 Kimchi made in the fall is said by many Koreans to be the best kimchi to serve all throughout the year. The season wouldn’t be more exciting without the celebration of the autumn festivals such as the Andong Maskdance Festival showcasing the folk dance heritage and cultural mask dances of Korea, and the Suncheon Bay Reeds Festival which naturally showcases the charming fields of brown reeds which are also home to rare birds and other wildlife. Besides, the much-awaited celebration of the Seoul Lantern Festival which lights up the downtown Seoul to a glistening paradise, particularly the Cheonggyecheon Stream, with hundreds of colorful, uniquely designed and well–lit lanterns. Fascinating fall foliage of Mt. Namsan in vibrant colors as seen from the observatory of the N Seoul Tower. Just few steps away from the beautiful summit of Mt. Mireuk in Tongyeong. It’s worth noting that Korean autumn is as well the perfect season to go for a hike but expect showers ahead of your climb. Autumn foliage in Korea is without doubt a magnificent spectacle. But whichever season you choose to travel to, you will definitely going to have a great time exploring the lovely countryside of Korea all year round.